Mariss Jansons had a good, healthy summer, but as the concert season started the perennially fragile health of the Latvian maestro gave out again and it was not until now—mid-December—that he conducted his first concert with the Bavarian Radio Symphony Orchestra. 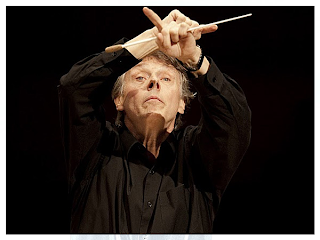 (No wonder the work on Jansons’ succession has been intensified.) His return was one in style, too: Mahler’s Third was on the bill, part of the BRSO’s Mahler Cycle which had gotten under way with Chailly and the First in October. The Third is, along with the Eighth, the most unwieldy Symphony of Mahler, asking for considerable choral forces, a huge orchestra, a terrific alto, and lasting over an hour and a half. Consequently it is the least often performed—along with the strange Seventh and the expensive Eighth. 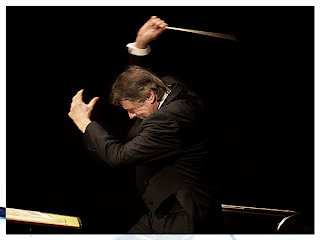 My last live performance of the Third had also been with Mariss Jansons; in Amsterdam about a year ago. That had been a high-quality disappointment—much like Jansons in Mahler generally… on disc and in concert alike. With that invariably in mind, the anticipatory high of this concert—evidently the cultural highlight of the Munich concert season so-far—was about matched by the apprehension. Both were, in a way, justified. There is so much to admire in the maestro’s detailed and controlled approach to music, and yet so many missed opportunities to lament. A Mahler Third in particular isn’t best admired (“most splendid indeed, dear fellow, wouldn’t you say”). It must blow the roof off. That wasn’t the case in Amsterdam and neither was that the case in the Philharmonic Hall of the Gasteig in Munich. The principle failure was an excess of quality. Everything impressed, nothing moved. Exempted from this should be the first movement, which slowly exerted its power of the inevitable and inexorable, by means of steadiness, accuracy, clarity, and meticulousness (not unlike a very evenly performed Bach Passacaglia). By the time the grand finale comes around, the audience response of silence interjected with seasonal coughing sounded ridiculous. That’s where hats could have been thrown in the air if men still wore hats, or at least some timid jubilations been expressed. But from the second movement on matters sounded awfully controlled. The rhythm, the swaying, it all seemed measured out on plotting paper with painful precision. The orchestra, performing still a notch above what the Concertgebouw turned in last year, proved too good for its own good. In the third movement, as in the fourth, the woodwinds sounded as if they were allowed to “go completely wild—every second Saturday from 4:30 until 7PM sharp”. They’re supposed to be rebels, sliding through notes, clinging to the edge of their seat. 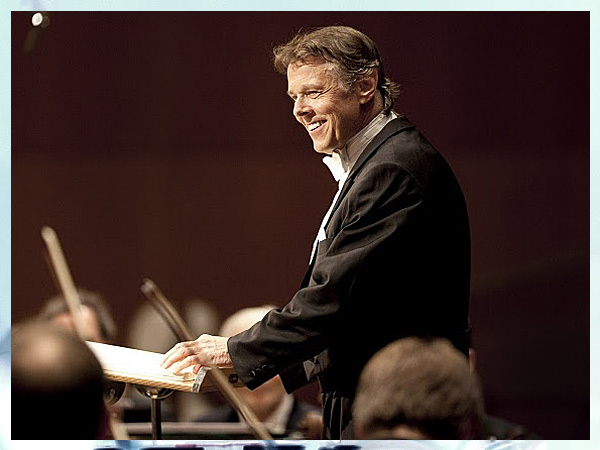 Wearing a dashing leather jacket but observing the curfew doesn’t ring true in Mahler. Immaculate, meticulous, humorless were the phrases I jotted down. That, and a slew of adjectives full of praise for the Posthorn solo in that movement, which was truly as good as it could possibly be; astonishing and incredible. Nathalie Stutzmann lent her appropriately dark alto to the Urlicht, sonorously Oh-Mensching about while the orchestra neared an emotional stasis. The detachment of the fifth movement was not particularly noteworthy, but the entry into the sixth movement was soft as butter, elegiac and gorgeous—but eventually losing momentum before entering into a very behaved climax. The audience’s response was enormous but tellingly immediate… as it would have been after an event that audiences knew was special, without having felt exactly why. "Oh-Mensching" - love it. Thanks for the review. I just can never get enough of the 3rd. Side Notes: Decca's Artistic Summer?